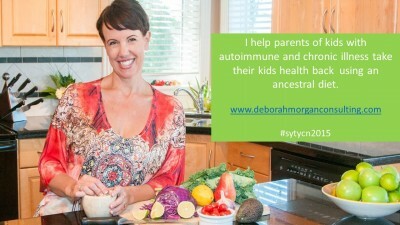 I help parents of kids with autoimmune and chronic illness take their kids health back using an ancestral diet. 10. You nailed it. Wow. You’ve done everything right! Instead of saying that your target market is the kids, you’ve realized that it’s the parents who will be paying for it so they are really the clients. “Autoimmune and chronic illness” is a very clear problem. and the result of “taking back their kids health” – so well worded! So clear! Something any parent would want. And speaks to how they’d feel about it – their kids health was taken! They get to be the heroes. “Using an ancestral diet”? The “how” is really clear. I think that you have is an incredibly clear big circle with the chance for more little circles which you could define by the particular type of illness the child has. Also – wow! Thank you for doing this! So many parents and their children will be blessed by this. 10/10: This is crystal clear. (Don’t forget the apostrophe in “kids'”!) As someone who has had to address this exact problem (my daughter’s eyebrows, eyelashes, and some scalp hair fell out when she was 9), I know how stressful this can be. The only suggestion (and I’m reaching here) would be to let parents know you can make it easier for them. 10/10: Well done! I love how you use the word “ancestral” so it doesn’t turn off the anti-paleo crowd. 10/10: What a great and important service. This is so very clear! The image with the radiant you adds a lot too. 10/10: Love the message, the cause, the purpose, the color choices, the photo with the raw foods! And your pic is awesome too! Wow! Tad, thank you so much for your feedback. It means a lot. I will definitely check out the big circle little circle link.